Nantucket is a small island just 30 miles south of Cape Cod, Massachusetts that is home to just 10,000 full-time resident. However, it is an incredibly popular tourist destination and holds many summer homes, so the population of the island can jump up to 50,000 during the summertime. The homes on the island are historical colonial style homes, with white trim and beautiful siding. They are incredibly expensive to purchase, even more so than buying in the Hamptons of New York, but visiting there is an experience like none other. The island itself was inhabited by the Wampanoag tribe until 1659, when it began to be settled by English pioneers. It became a whaling colony until 1850, when most of the whaling moved to the mainland for easier transportation. The island was mostly abandoned until the 1950s, when developers came in and began restoring many of the pre-civil war buildings to market to wealthy people in the Northeast. If you go visit Nantucket over your summer vacation, you won’t be disappointed in what the island has to offer. Beaches dot the perimeter of the island, with views of sailboats and lighthouses in front of glorious sunsets. They are a perfect spot to bring a picnic lunch, lay down your towel, and catch some sun. For the history buffs, you can visit a number of museums on the island with topics like island art, whaling, shipwrecks, and more. You can also check out the three different lighthouses on the island, which are no longer in use but carry hundreds of years of history. The Brand Point Lighthouse is the second-oldest lighthouse in America, and the shortest one in New England. If you feel like a little bit of adventure, you can charter a boat to see all kinds of marine life and get a history lesson on the island. You might see seals and whales, or take a boat and go fishing for bass, tuna, or cod. If you aren’t a huge fan of boats, you can rent a bicycle and take a tour around the island. There are hundreds of bike paths that connect through the island- it is the best way to see everything. 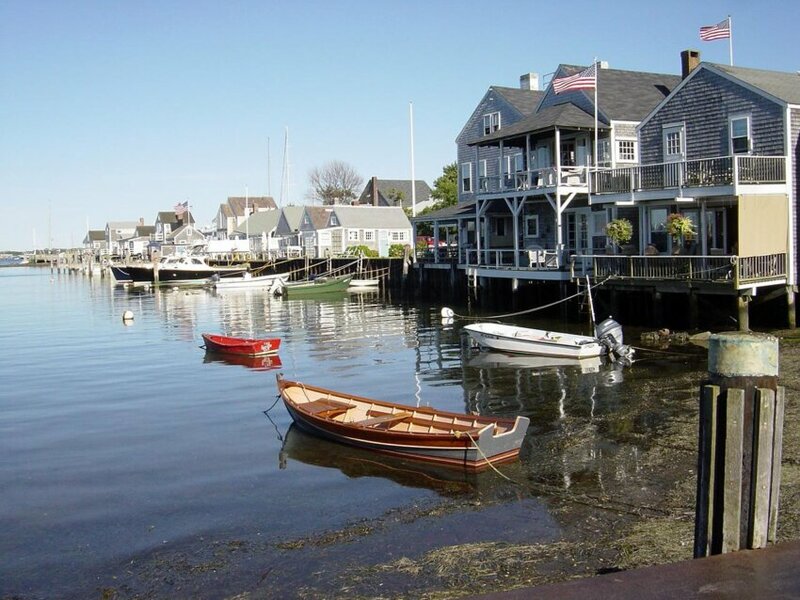 If you are ready to plan your trip to Nantucket, visit their official website here.